Dapper and distinguished, the Stacy Adams Arrico is a game-changer. 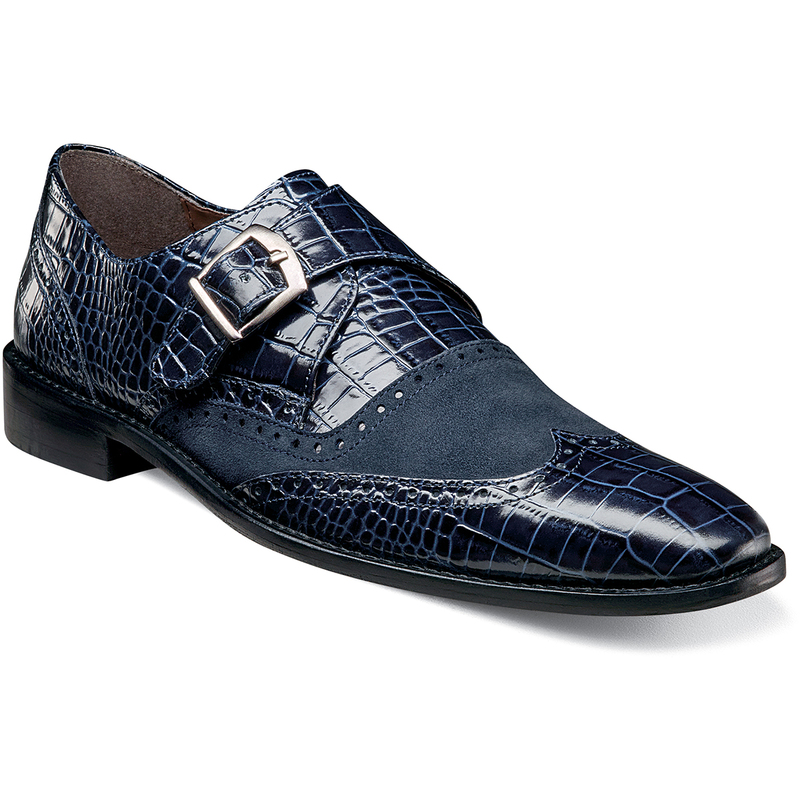 With its wingtip design and snazzy crocodile print leather upper, this modern monk can be worn day in and day out. The Arrico is a wingtip monk strap. The upper is crocodile print leather with kidskin suede. The insole is fully cushioned with Memory Foam.